What is a project network diagram? 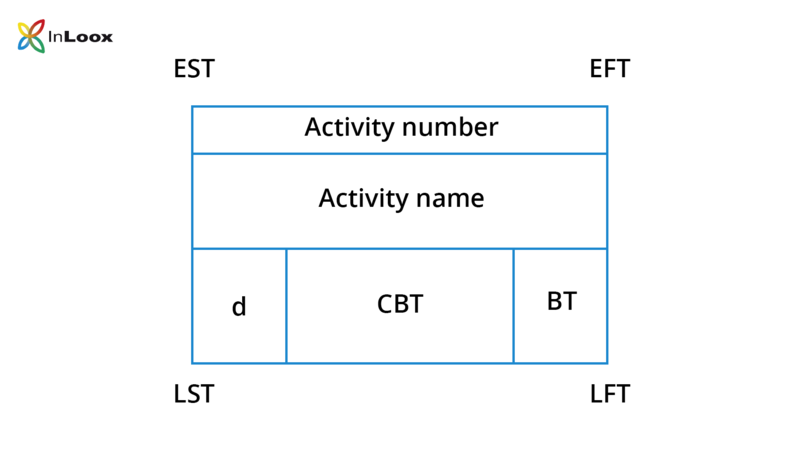 The project network diagram displays the duration of activities in the project, their chronological order and logical dependencies between the activities graphically or in tabular form. Unlike the work breakdown structure (WBS), a network diagram also takes into account the chronological order of activities according to their dependencies, and not just the logical order of the project activities. Bar charts such as Gantt Charts are a special form of the network diagram. Risks: Where is the critical path? Where are potential bottlenecks in the project process? Opportunities: Where can the project process be streamlined? The network diagram is the foundation for the project scheduling. In modern project management, hardly any network plans are calculated "manually" anymore. Project managers use a project management software to do so. However, understanding the basics of the method enable you to better understand your own project plan. The earliest finish time (EFT) is derived from the earliest start time (EST) and the activity's duration (d). The latest finish time minus the activity duration (d) results in the latest start time (LST). Network diagrams are closely linked to the corresponding network analysis methods. What is a project network diagram? • Copyright 1999-2019 © InLoox, Inc. All rights reserved.